This is a fun little combined pieced and applique pattern. 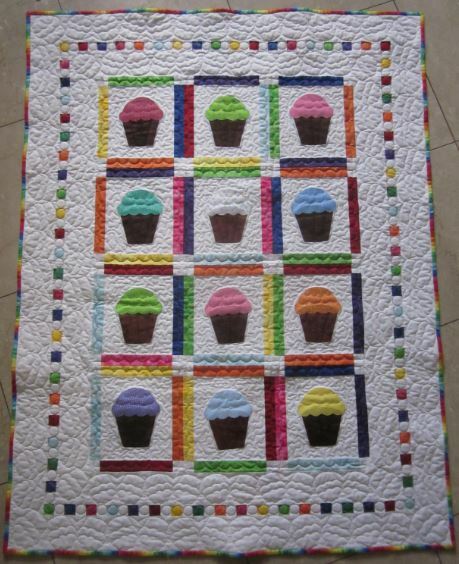 Fun fabrics and you can very quickly have this sweet little quilt. Pattern includes cupcake templates for tracing on to your own fusible web.